OSC is community of ITMO University students which are interesting of Photonics & Photonics and related fields. The site designed to get easily access to the information about activities of IEEE, SPIE, OSA societies, conferences and our chapter activities in ITMO Universities etc. OSC organizes international conferences, scientific seminars, workshops, lectures with leading experts, professionals, great scientists of Russia and abroad. Also OSC organizes informal meetings, and social activities for schoolchildren and students. We looking forward to see you in our chapter. 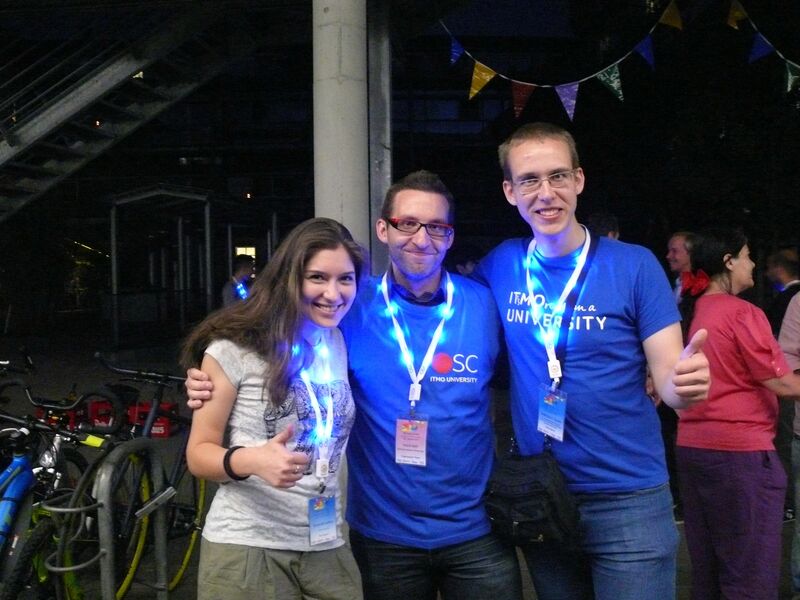 ITMO Optical Student Chapter took part in the IONS Karlsruhe 2015 organized by OSKar – Optical Student Karlsruhe chapter. Ninth International Conference of Young Scientists and Specialists “Optics-2015” continues the tradition of holding regular meetings of students, bachelors, masters and PhD students enrolled in the optical and related fields, researchers and designers of new optical techniques and technologies, organized in Leningrad – St. Petersburg since 1956. © 2019 OSC. Все права защищены.